Just moments ago a very unexpected leak occurred in which official wallpapers from Samsung’s upcoming flagship were leaked. There are still 2 weeks until Samsung officially unveils the Samsung Galaxy S10 on 20th Feb. However, more leaks are expected to surface as the days pass. So far, owing to the numerous leaks, we already know so much about the upcoming smartphone and its variants that nothing is really a surprise anymore, however, Samsung Galaxy S10 Official Wallpapers were not on anyone’s radar but here they are. Samsung Galaxy S10-What do we know so far? It has been established without a doubt that Samsung will be releasing a total of three S10 smartphones. Namely, the standard Galaxy S10, Galaxy S10E, and Galaxy S10+. Obviously, the plus variant of the phone will be the most feature intensive one with a premium price tag. 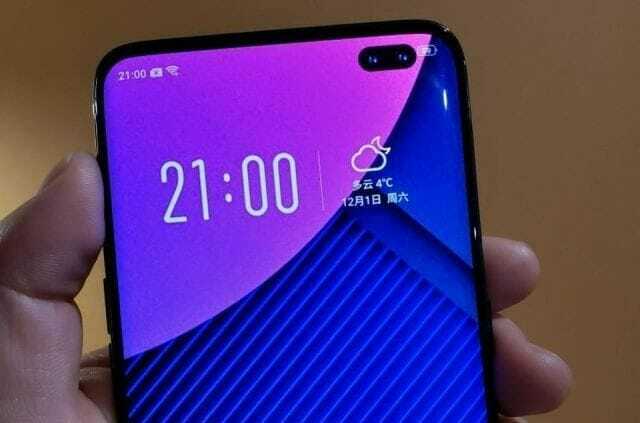 The cheapest variant will be the S10E which is also the smallest. The standard model will sit in between in regards to specs as well as price. Without going into too many details when it comes to specs, as this information is all over the internet, the S10E will offer a 5.8-inch Super AMOLED, a Qualcomm Snapdragon 9820 SoC in the international version and in the non-international version a Qualcomm Snapdragon 855 SoC. 6GB of RAM and internal storage of 128GB. Dual 12MP + 12MP camera system on the back and an 8MP camera in the front. Galaxy S10 will have a 6.1-inch Super AMOLED screen. The processor is the same across the board i.e Exynos 9820/Snapdragon 855 SoC. As for Memory options, there is a 512GB with 8GB RAM option and a 128GB with 6GB RAM option. A triple rear camera, exact specs of which are currently not known. While the front camera will be the same as S10E at 8MP. This is the real deal. The plus variant is going to be a proper powerhouse. It will offer an enormous 6.4-inch Super AMOLED display. The same processor as the other two variants, however, the storage options are vastly superior. The S10+ will offer storage and RAM options of 1TB + 12GB, 512GB + 8GB, and 128GB +6GB. This is indeed the first time a smartphone will feature a whopping 1TB of storage, that too with an expandable microSD slot. S10+ will also use a triple camera system at the back, however, unlike the other two variants, Galaxy S10 Plus will have a dual camera on the front. All these variants will run Android Pie out of the box. Here it is, the leaked wallpapers. Well, there are 2 Samsung Galaxy S10 Official Wallpapers for you to download. The wallpapers are best suited for phones having a 1080P or 1440P resolution. You can download them from the gallery below and get a lil taste of the upcoming phone. 11/2/2019 Update: Three additional wallpapers have leaked just recently so now there a total of 5 wallpapers. 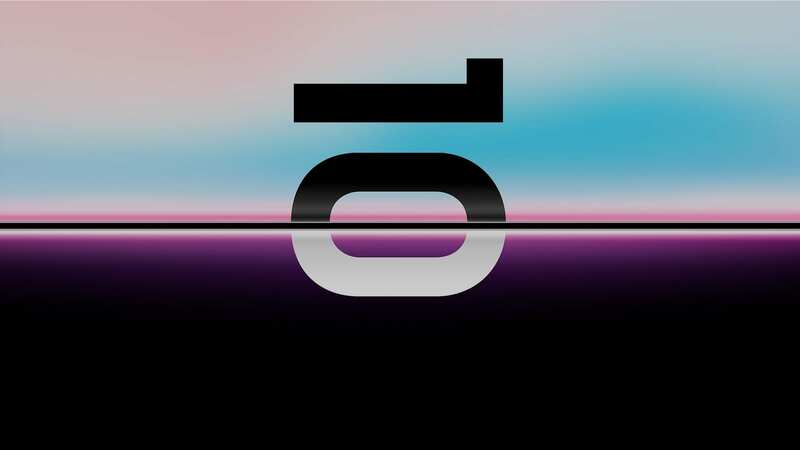 Samsung is going to unveil the new phones at an upcoming event which they are calling “Samsung Galaxy S10 Unpacked”. The event will be held on Feb 20th which is also the 10th anniversary of the Galaxy lineup. All three smartphones will be unveiled at the event and according to a rumor the phone will go for pre-order immediately and will be shipped to customers on 8th March. As for the price, according to a report at Gizmodo, Galaxy S10E retail for £699, the regular S10 will for £799 and £999 depending on the storage and the S10 Plus will go for £899, £1,099, £1,399, again depending on the storage option. This is all, leave me a comment below what you think about the wallpapers and if you are planning on getting one of the phones for yourself in the future.